Since 1927, Sudbury Brass™ has been a leader in church appointments and brassware and is renowned for producing the highest quality products using old world artistry combined with new and innovative designs. 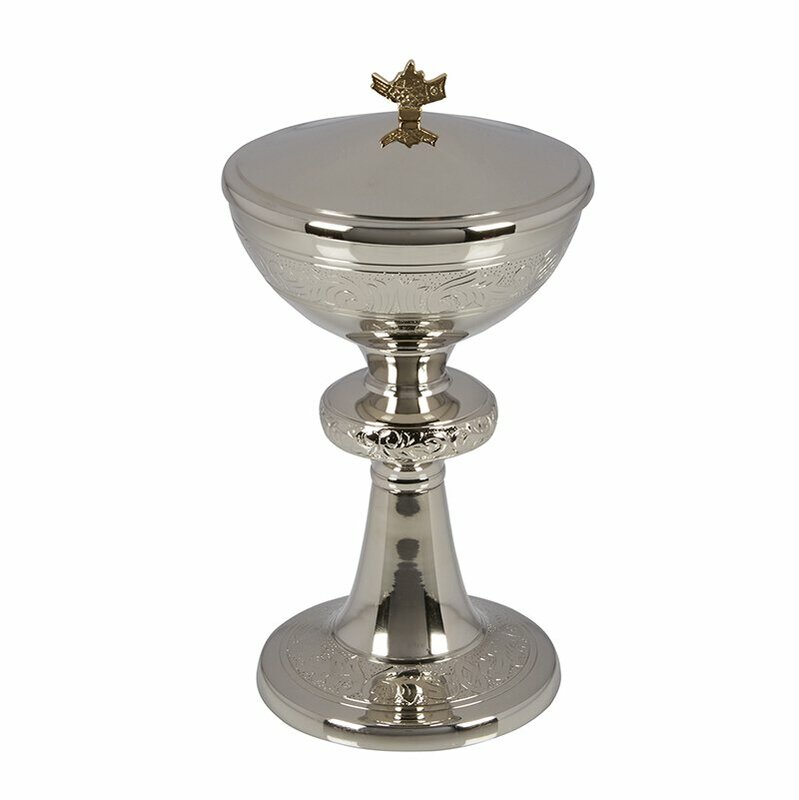 Our Ornamented Ciborium applies only high-quality materials in manufacturing and design. Each piece is crafted of lead-free, 100% food safe brass and then finished off with nickel plate and holds 180 Hosts. The cross on the cover is gold plated and an engraved, scroll design on the ciborium gives it a unique look. Includes cotton felt drawstring bag for safe storage. Matching Chalice and Paten Set (Item no. NS718) sold separately.